and I thought I'd give you guys an update. Yes, I am still working on the comic haha! 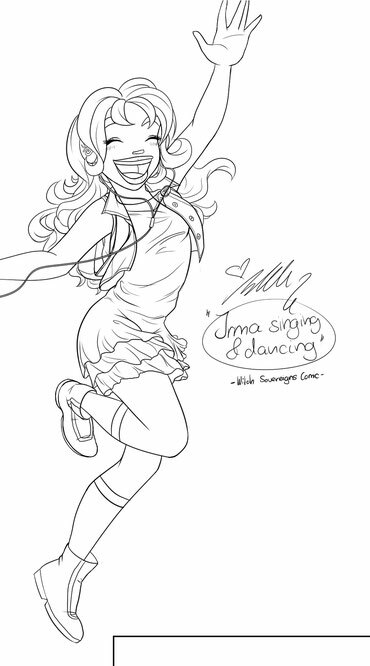 And to prove it, here's a joyful dancing Irma. She already has a tiny sibling Irma, who's also dancing. So you can guess what the next comic page will be about. Also, finally am working on the many awesome casting winners for this page! Thanks again for volunteering and so sorry it's taking so long! I'm really having fun with this page and there's not that much background so I hope the colouring won't take long.